Time for an update! First and foremost, Silas is continuing to make his presence known. He is such a little busybody in my belly, and I love it! Kevin has gotten some good kicks lately too, which makes him so proud. Silas is now over a pound and more than 11 inches long. And of course, as he grows, so does my belly. Belly rubs are becoming quite frequent now, which I enjoy. 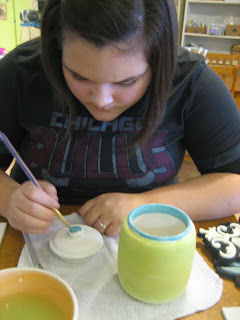 Unfortunately, urinary tract infections have been frequent as well, and those I don’t enjoy. Other than that, I’m feeling good and eating normally again. I celebrated my 27th birthday last week! Thanks to everyone who passed along wonderful birthday wishes and gifts. I am blessed with great friends and family who always make my birthdays special. Kevin has been busy with school and work. In his spare time he was playing flag football for a seminary team (keyword: WAS), but last game he dislocated his shoulder and so he’s out for the rest of the season. He saw a doctor, and his shoulder is healing up fine, but I think he’s still sad about not being able to play anymore. He really enjoyed being out there with the guys. And I have to admit, I’m a little sad too because I really enjoyed going out to watch his games in the afternoons, especially since the weather has been so gorgeous lately. I look forward to supporting Silas in his sporting endeavors one day. Today Kevin finished up a two-day workshop and now he’s officially on “Fall Break,” which for him is not much of a break. It’s basically just time to catch up on studying and papers. Continue to pray for him as he finishes up his semester. 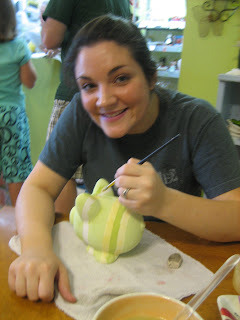 Me hard at work on Silas' first piggy bank. 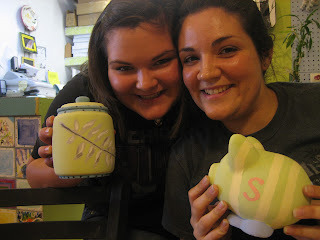 Us with our almost-finished pieces. 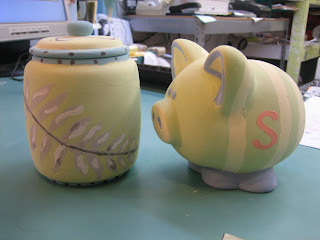 All done and ready for to be fired and glazed. 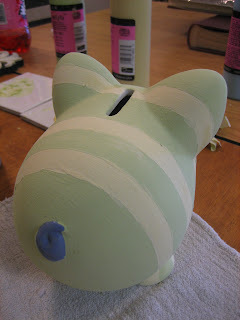 The cute backside of Silas' piggy bank. I couldn't help myself.